Home / News & Events / WSCFF.org is BRAND NEW! Welcome to the new WSCFF.org website! For months, the WSCFF has been working behind the scenes to create a better online experience for our members. The goal was to make it easier for you to log in and find the information you’re looking for, while also having it run faster and look great on any device. We also hope that it will help you, our members, become more involved! We’ve made educational materials a priority under the Our Union section. There, you’ll find all our Power Through Participation Videos along with a new Educational Resources section that will hold all the materials, speaker bios, and handouts in PDF form after each of our seminars. The Health & Wellness section is a great place to find information about PIIERS, Healthy In, Healthy Out, the Firefighter Cancer Support Network, and a number of other important member resources. Want to dive into political action? Or see what we’re up to? We’ve got all the information you need to stay informed. You’ll also see a more organized way to get to News & Events. Some of this content is available to WSCFF members only, so you may have to log in with your username and password to proceed. If you encounter any difficulties, call the office at 360-943-3030 or email. So what happens to the app? The new site works responsively, making the app obsolete. 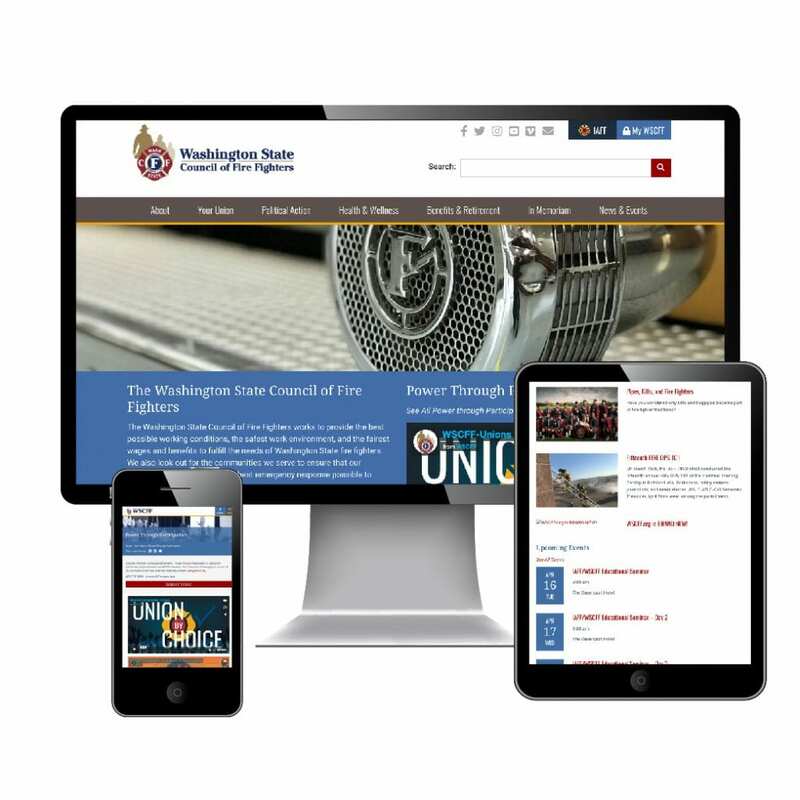 Members should use the new site, WSCFF.org, to get the most up-to-date information. How can I access the site quickly from my smartphone or tablet? It’s easy. This article will help guide you through the process of creating a home screen button for your smart device. We’re sorry. If you find something that doesn’t look right, please tell us! We’ve created a feedback form on the site to help identify pesky bugs that need fixing. The link to the feedback form is in the footer of the site. We want to get this right, so please be patient as we course-correct along the way.